We here propose an alcohol sensing system that measures alcohol intake, displays percentage of alcohol and also sounds an alarm if it is above a particular threshold. 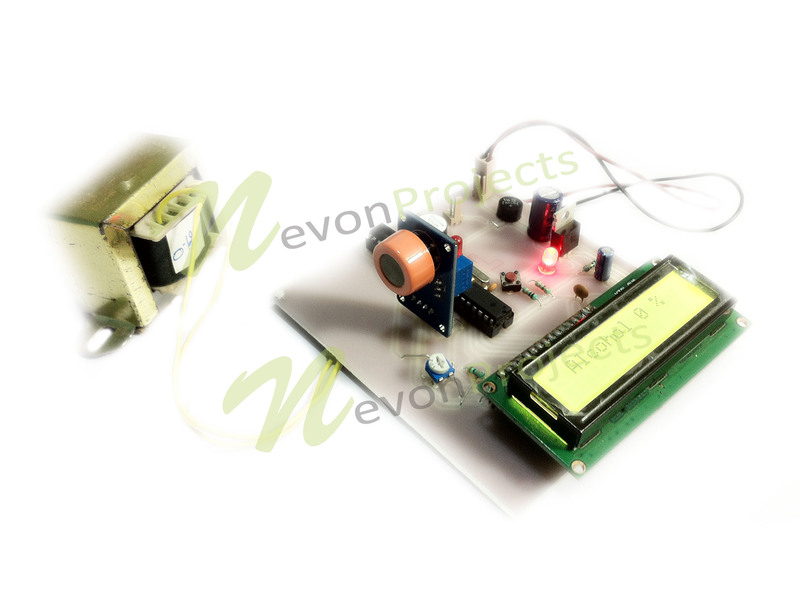 Here we use an alcohol sensor circuit along with lcd display and a buzzer alarm. 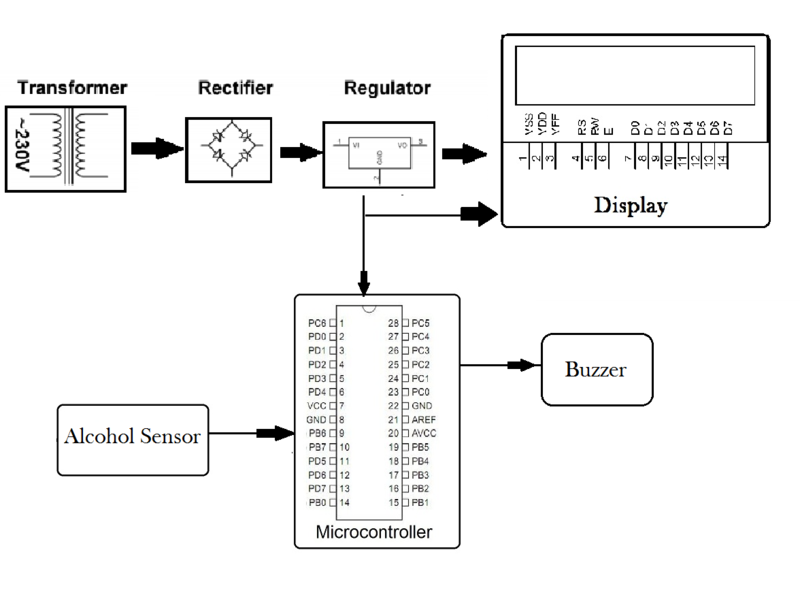 Our system first uses the alcohol sensor in order to detect alcohol. 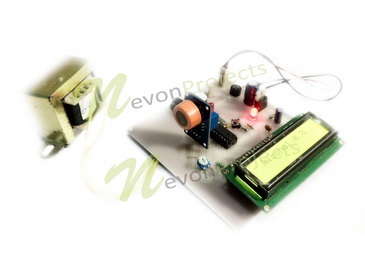 The sensor provides analog output. This analog output is now provided to the microcontroller for further processing. 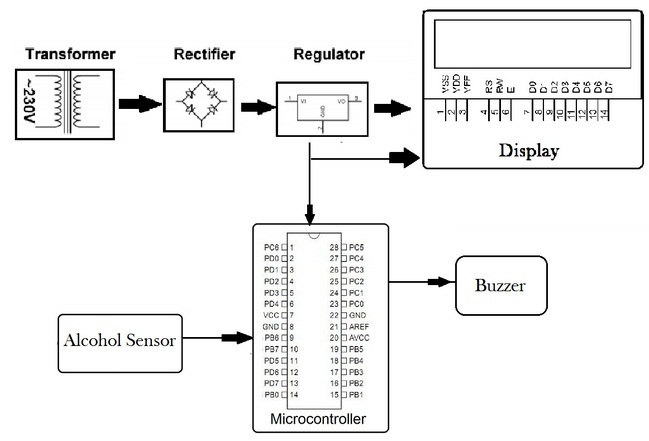 Based on the input the microcontroller calculates the percentage of alcohol and displays the same on an LCD display. It also sounds an alarm if the amount of alcohol exceeds a particular amount. Our system thus allows to measure amount of alcohol and then display percentage of alcohol measured. Also a alarm is sounded that indicates that measured alcohol is above a particular percentage.